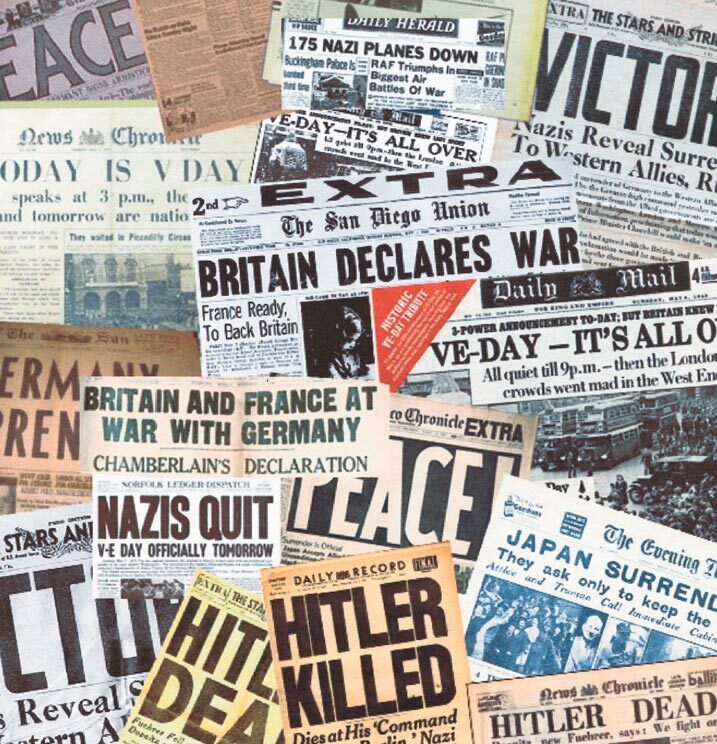 Just over 21 years after the end of the First World War - the War to end all Wars - Great Britain again declared War on Germany on 1st September 1939 following Germany's invasion of Poland. Prior to the declaration of War the Territorial Battalions were each ordered to split and form into two Battalions doubling the strength of the T A infantry. The Queen's battalions formed into two brigades; 131 (Queen's) Brigade consisted of 1/5th, 1/6th and 1/7th Queen's and 169 (Queen's) Brigade was made up of 2/5th, 2/6th and 2/7th Queen's. All six Territorial battalions fought in France in 1940. Two years later, both brigades were ordered overseas and fought in the Eighth Army in the Western Desert. 131 Brigade became the Lorried Infantry brigade of 7 Armoured Division (the "Desert Rats") after the Battle of EI Alamein. 169 Brigade joined 56 London Division (the "Black Cats") and took part in the capture of Tunis in May 1943. Both brigades fought in the allied landing at Salerno, Italy in September 1943; one relieving the other. 131 Brigade then returned to England for the invasion of north-west Europe and eventually helped to push the Germans back across the River Maas. 1/5th Queen's ended the War in Hamburg, later moving to Berlin, where it took part in the Victory Parade in front of Winston Churchill. 169 Brigade remained in Italy until the end of the war. The 1/6th and 2/6th TA Battalions of the East Surreys deployed to France at the beginning of the War. The 1/6th fought alongside the 1st Battalion in Belgium, before evacuation from Dunkirk. The 2/6th Battalion was forced to surrender at St Valery together with 51st Highland Division and the majority of the soldiers became prisoners of war. The 1/6th continued to see active service, as it landed in North Africa in March 1943 and took part in the Tunisian Campaign. From February 1944 to May 1945, the Battalion fought in Italy, and it experienced hard fighting at Cassino and Forli. It then moved to Greece. Of the Regular Battalions: The 1st Battalion Queen's Royal (West Surrey) Regiment continued to serve in India at the start of the Second World War and fought for a year against tribesmen on the North-West Frontier. 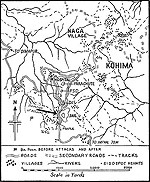 The Battalion then transferred to Burma and saw a great deal of hard fighting against the Japanese in the Arakan, at Kohima and in the Irrawaddy operations. 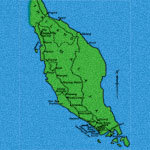 After the Japanese surrender, the 1st Battalion spent a short period in Malaya, before returning home. The 2nd Battalion moved to Egypt from Palestine in 1940 and fought in the Battle of Sidi Barrani and at Tobruk. It then moved back to Egypt and then Syria. This was followed by a peaceful year in Ceylon, prior to a move to Burma, where it served as part of the Deep Penetration Forces (Chindits) against the Japanese. After the War, the 2nd Battalion moved back to India, where it remained until 1947. The 1st Battalion the East Surreys was in France soon after the outbreak of the Second World War and were evacuated through Dunkirk in June 1940. After two years of training in England and Scotland, they landed in North Africa in November 1942, as part of the assaulting troops of "Operation Torch"; this was the first Anglo-American operation of the War. 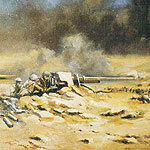 Then followed the capture of Tunis and Medjez-el-Bab and the Battle of Tebourba. The short successful campaign against Sicily followed. They crossed to Italy with the 78th Division and there followed a very arduous campaign up the toe of the Country, with heavy fighting around Monte Cassino and "The Bowl". There was a short break for training in Egypt and then the Battalion continued its time in Italy until the final German surrender. The 2nd East Surreys was in Malaya in 1940, where the Battalion served with great distinction against the Japanese, but with heavy losses. The 1st Leicestershire Regiment suffered a similar fate and the two battalions were joined together in the face of the enemy to form what was called the "British Battalion". They fought on until the Army was forced to surrender in Singapore. Of the two battalions, only 265 men remained and of those 149 died during the three and a half years of Japanese imprisonment. Unfortunately, we are unable to put onto this web-site the War Diaries of the Battalions of the Second World War. This section of the website contains histories written by officers who served in the various actions outlined above. All too frequently "Old Soldiers" do not tell of the experiences of battle. However, these histories do give a feel of what our fathers and Grandfathers experienced. Many were overseas for over 7 years. Throughout runs the theme of service, wholeheartedly given by men bound together by the spirit of comradeship based on the traditions of The Surrey Regiments. This section is dedicated to the 3,788 officers and men who never returned. It is an account of "B" Company of the 1st Bn. The Queen's Royal Regiment, who fought with the 7th Indian Infantry Division. The full story of the disastrous campaign in Malaya in 1941 and 1942 is recorded in the official histories and a number of other books. The story of The Queen’s Royal Regiment in the Middle East and North Africa during the first three years of the Second World War. The Regiment took part in the Campaign in Italy, which saw the first return of Allied Armies to Europe. Both the 1st and 2nd Battalions of The Queen's splayed their part in defeating the Japanese. This story is written by men who were there forty years ago and is in addition to the Regimental History. It was against this background that Sir Anthony Eden, Secretary of State for War, broadcast to the nation an appeal for volunteers to come forward to form a defence force, organised on local basis, to supplement the Regular Army in defence of the homeland, especially against the new German tactic of the use of paratroops.